Shawn Ashmore, The Following, sat down in an exclusive interview to discuss his character, Mike Weston, and how the young, new FBI agent will be a little more rogue this season after working to put away serial killer Joe Carroll last year. Q: So where is Mike when we pick back up? Ashmore: Mike is dealing with the repercussions emotionally of losing two partners and sort of everything that he went through — we pick up a year afterwards and I am sure everyone has told you that. That is like the one thing we are allowed to say — and emotionally he is having a hard time. Ryan (played by Kevin Bacon) and Mike kidnapped, tortured, and killed a detainee in the last episode so that doesn’t just go away, like oh we killed the bad guy and it’s all good now. They broke protocol and Mike is dealing with the repercussions of that at work and emotionally and spiritually. I think he is going through quiet a crisis so he is in a dark place. This sort of shiny agent Weston we found in the pilot is all but gone in the second season. I think he still has his moral core. I think the things that people really liked about Mike, that sort of levity that be brought and the attitude is still inside him but it’s not on the surface anymore. It’s a little hidden. He is broken down and it’s been a hard year. He has had to kill people, he has had his life threatened, and a lot of people he loved got killed so it’s kind of rough. Ashmore: Absolutely. After the fight club episode, as I called it, where Mike gets kidnapped and gets beat up, that to me was the turning point. That is where I realized that Mike and Ryan are a mirror. This is what Ryan potentially was and after all of this bad stuff happened this is who he became. We are at the crossroads for Mike. What will he do? He is losing people, he is having his life threatened. He is going through the exact same things as Ryan. Will he become Ryan? Will he fight it? Does he have the potential to go there? I think that is the drama between Mike and Ryan for the second season. Sort of seeing if Ryan will help Mike, if he knows how, if Mike will ask for that help. That is sort of part of their relationship. You sort of never know when to ask for help sometimes. These are two men that are in a kind of field where they are put through extreme situations. But I don’t think you necessarily ask for help when you need it. When you are inside of a situation it’s difficult…I think there is a bit of that between Mike and Ryan. Q: Did you always know your character was going to live at the end of the season? Q: When did you figure it out? Ashmore: The last episode when we shot it and I didn’t die [laughs]. There was at one point — we get really broad strokes for what’s going to happen and we were all warned that people in this room will die. Some of the people in this room’s characters will die and to not take it personally. It has nothing to do with your work but it’s just something that has to happen. So I always thought I was going to die. When Mike got shot in the chest, I guessed that was the end. Then Mike gets kidnapped and stabbed, but I happened to survive. I actually think that because I got beaten up so many times and my life was threatened so many times it actually saved me because it would have been anticlimactic to kill me [laughs]. When I survived the fight club episode I thought maybe I would make it because if they killed me people would see it coming and we know that Kevin Williamson does not like people to see it coming. There was a scenario in the final episode where both Debra Parker and myself were in jeopardy. It did remind me of a Dark Knight situation…where they had to make a choice and Ryan didn’t know who he was going to save…I was like okay that sounds awesome, but I hope I am the one that makes it [laughs]. It was horrible to lose Debra. Ashmore: Well, if you are going to kill me, kill me right. I don’t want to die on the show but if I am going to go, lets go big. Q: How confident are you now? Ashmore: I feel better [laughs]. There is always a possibility. We are about to start shooting the six episode so I am safely in half of the second season. Q: Weird question… you have a twin brother. Any conversations about bringing him onto The Following to really mess with the fans? Ashmore: [laughs]. We would have to be followers then. If you bring in a twin it would have to be something evil because that is never good. We did do Fringe together and I feel like Fringe was a show that was good for twins…I can’t see Mike having a twin. We know he has brothers, that was established last season who we haven’t met. I guess Aaron could be one of the brothers and not make it a big deal that we are twins, but that hasn’t come up. Well see. 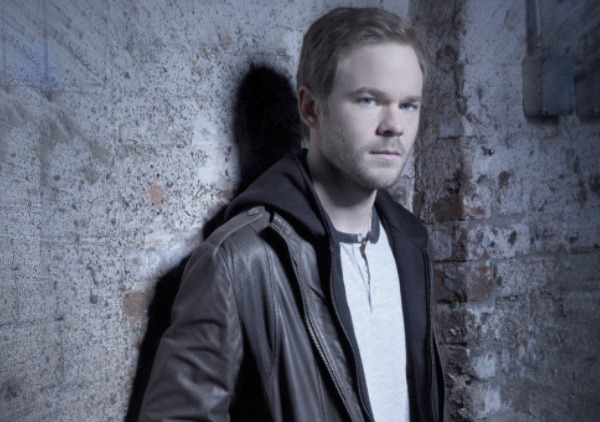 Catch Shawn Ashmore, The Following, on FOX in 2014.